New Events & Interactive Festival Map! Here’s our latest Festival Map! 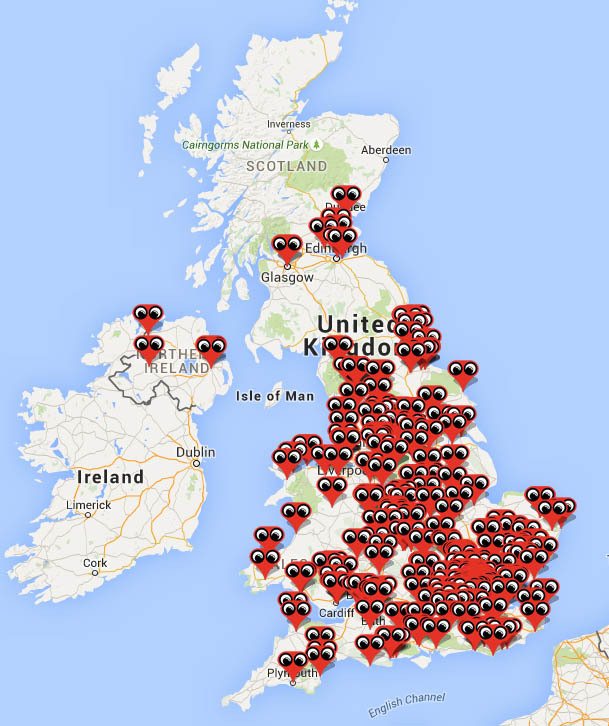 We’ll be bringing you 5,000 events this Autumn half-term. What’s happening near you? Like comics? We’ve recently announced and a wealth of animation events including the chance to createyour own unique design with a professional artist. Interested in Science? We’ve combined science and theatre in this selection of explosive family shows. Is music more your thing? 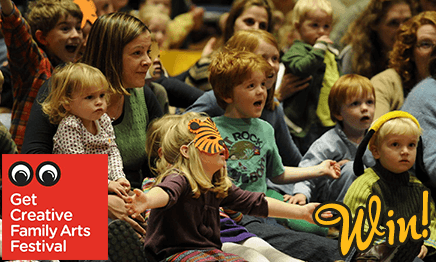 We highly recommend the Lullaby Concert series, perfect for ages 2-7 and their families. To find the right event for you use our Festival search to narrow things down by art-form, age, and location. OperaUpClose make their début at the striking arts centre Kings Place as part of this year’s Get Creative Family Arts Festival, with the world premiere of their fun, feisty, family-friendly Ulla’s Odyssey. The show is inspired by Homer’s Odyssey, includes live music and puppetry, and is recommended for children aged 7+, families and any adult with a sense of fun and wonder. These guys have also won a prestigious Olivier Award too! 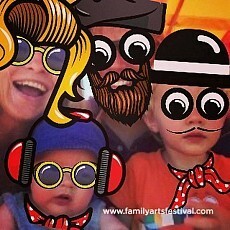 Have you done your eye-boggling family portrait yet? Download the family portrait app to your Apple or Android phone or tablet, then simply take a picture (or use one from your library) and add our fun festival items: red noses, hats, scarfs, and of course our famous googly eyes. You can see our favourites so far in our Festival Gallery. 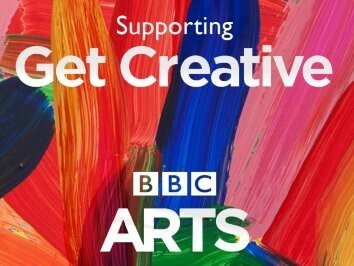 The Festival is part of BBC Arts’ year-long Get Creative project! To help you get creative, they’ve put together handy guides on the major art forms, to get you inspired to pick up a paint brush, a pen or a piccolo. And when you’ve found your perfect art form, head to the Festival website to find an event that’s right for you. Would your little-one like to gain an award whilst experiencing the arts? 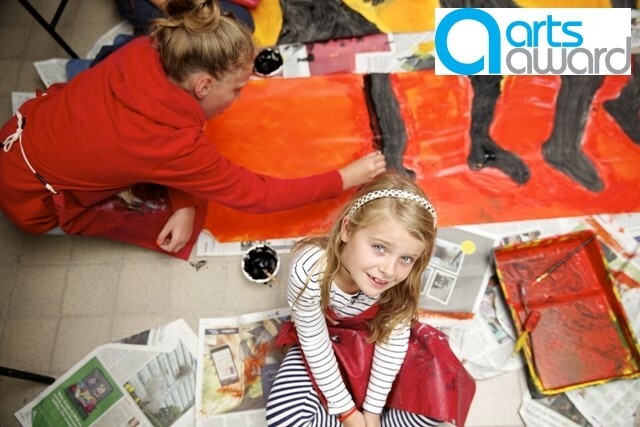 Arts Award develops creativity, leadership, and communication skills and depending on which Level is chosen, can be completed in as little as one visit. You can find out more about how to take part here, and then use the Festival search to find your perfect event at which to complete the Award. Fancy winning a Family Ticket to a Family Arts Festival event of your choice? From Magic and Monsters family classical concerts in Glasgow to walking dance stories across London parks;Ratatouille live in concert at the Royal Albert Hall performed by the Royal Philharmonic Concert Orchestra, and Bleu!family theatre in Derby and Nottingham.